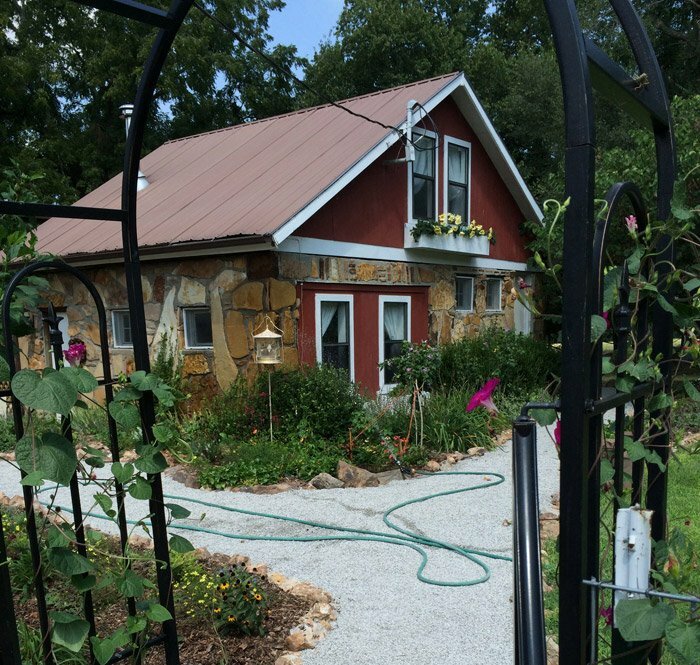 For some time now, I have been curating my own whimsical garden in Missouri and snapping photos of unique garden spaces when encountered them, but I thought it might be good to collect some of those images into one post, to provide a reference for myself and others who might be seeking fresh ideas and inspiration to bounce off of in order to create your own whimsical and playful garden space. I’ve included a collection of my photos below. 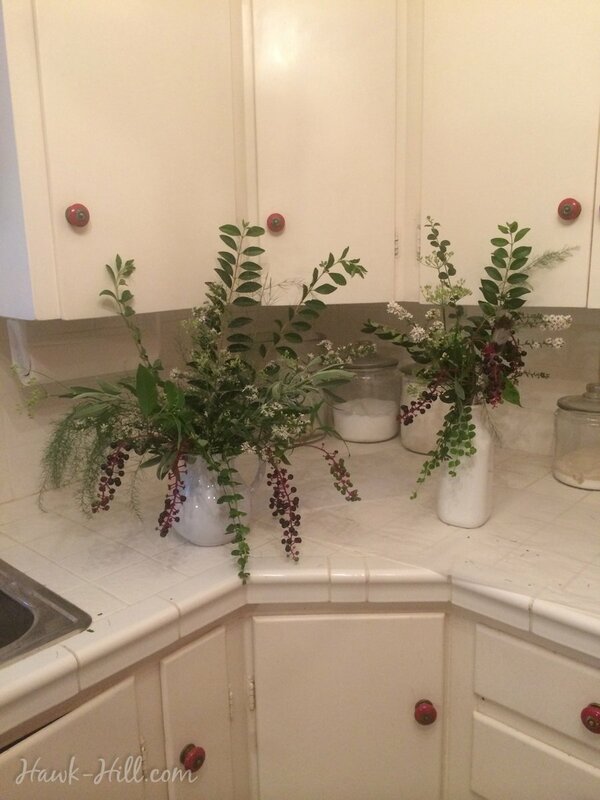 Scroll through for ideas with descriptions and, in a few cases, links to the how-to-tutorial. 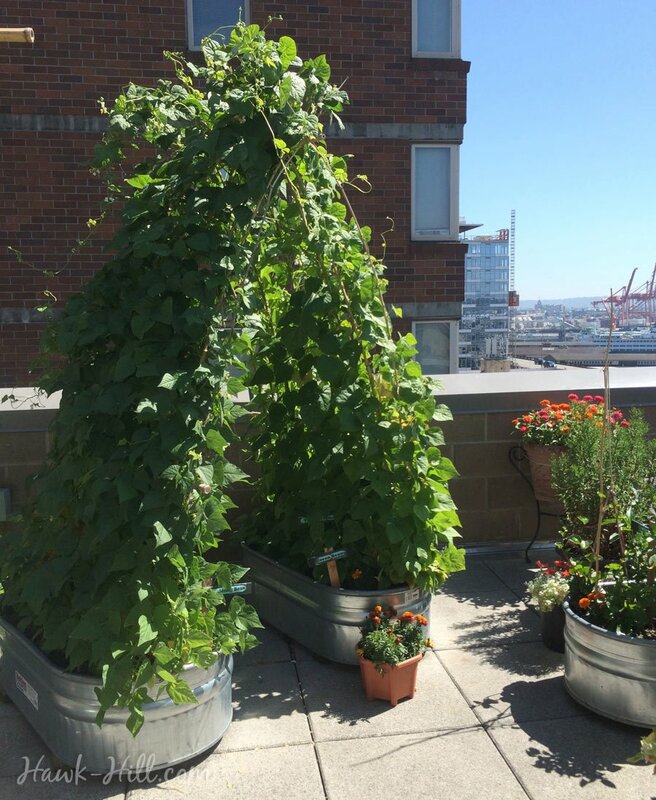 I love how the planners of this rooftop urban garden in Pike Place Market in Seattle used their limited options (containers only!) and still created an architectural element. This photo shows two trough-style containers of green bean plants trellised to form an arch, which is open to walk through. 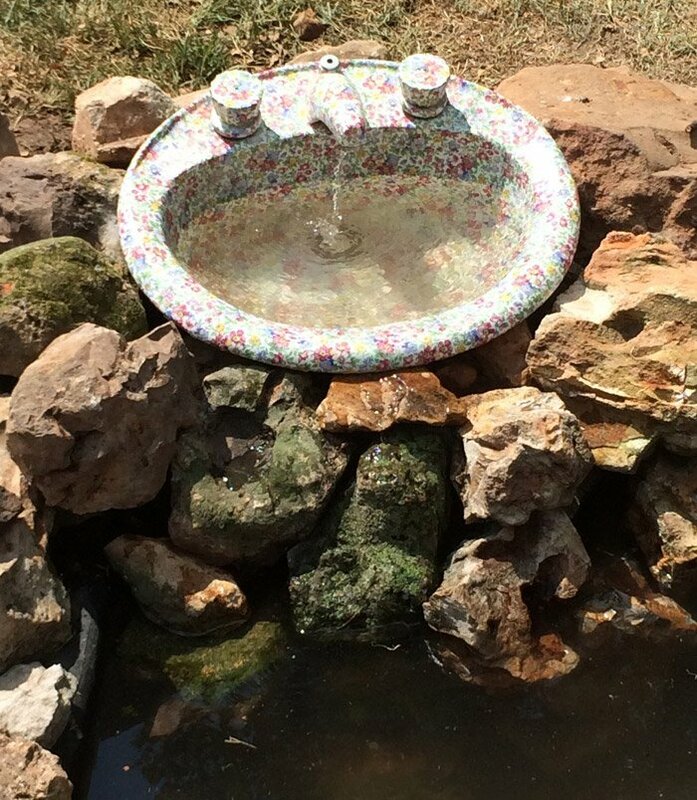 My friend Merre and I turned this vintage sink into a garden fountain back in 2014. See the tutorial here. My 2012 pond fountain arrangement. 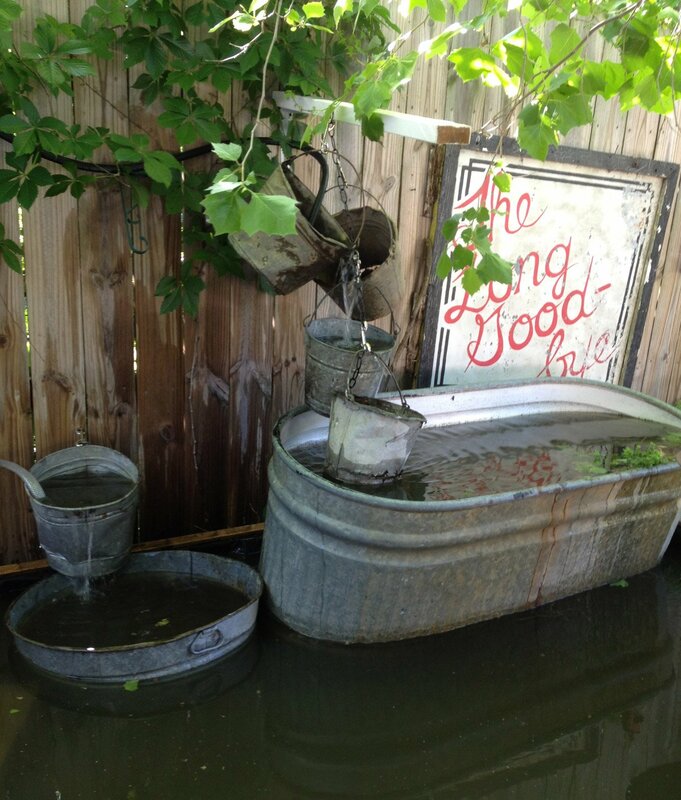 The 100 gallon galvanized trough is set on bricks and creates a large overflow waterfall into my above-ground pond. Read my the tutorial on creating an above ground pond without a kit. My friend Merre is the master of whimsical gardens. You can see more photos of her gardens and book a visit on Merre’s AirBnB page. 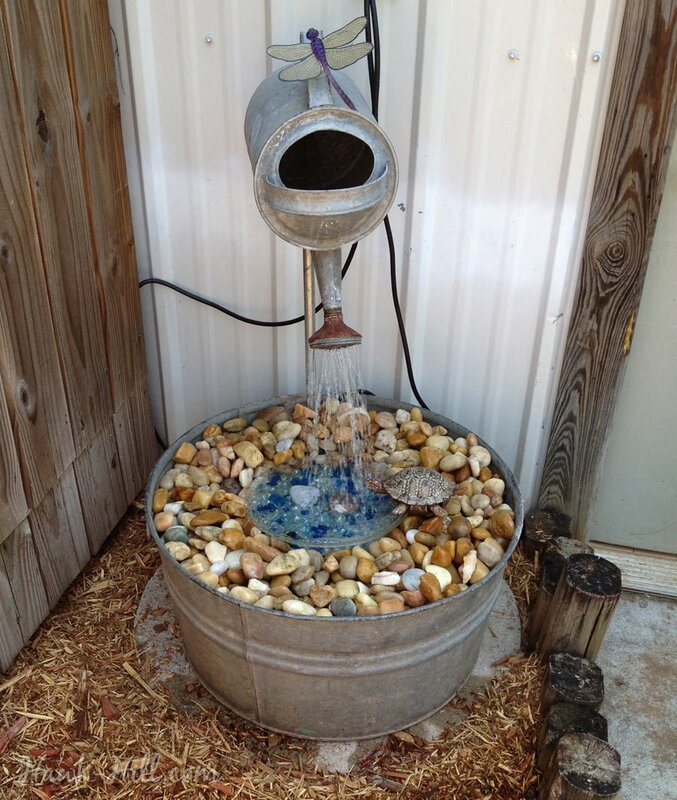 In this photo of a fountain built from galvanized metal garden objects, a watering can constantly sprinkles water into a rock filled wash tub over thrifted vintage glass. 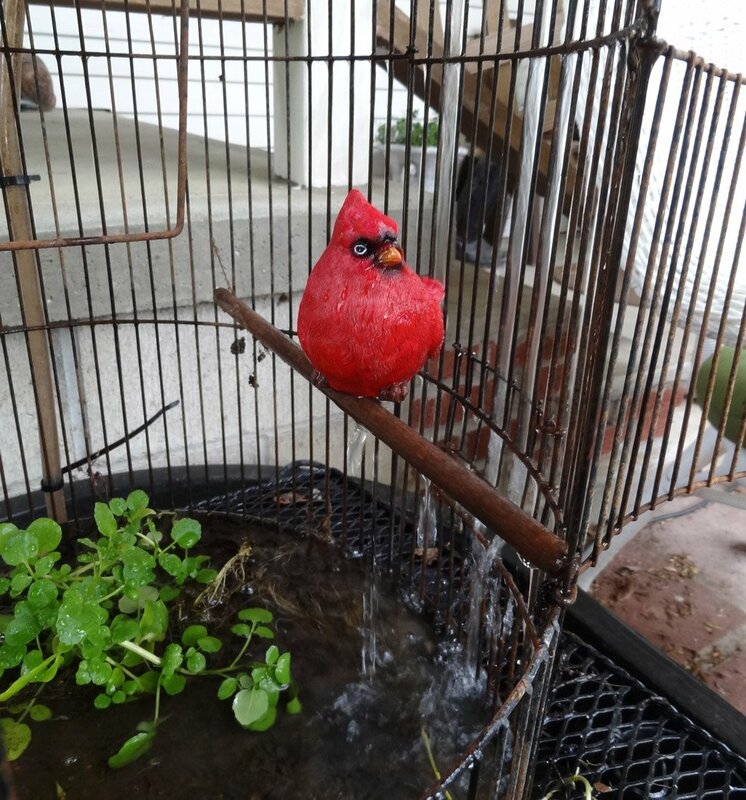 The water less design of this fountain prevents algae, mosquito, and pets from drinking out of the fountain. Fountains are my favorite project. 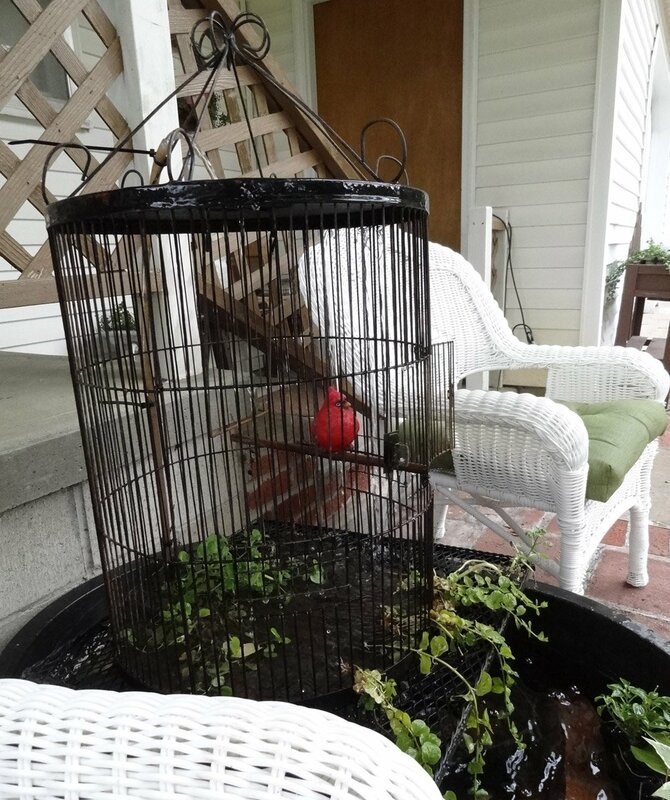 Here’s a tutorial on using a birdcage, trough, and outdoor table to create a whimsical garden fountain. 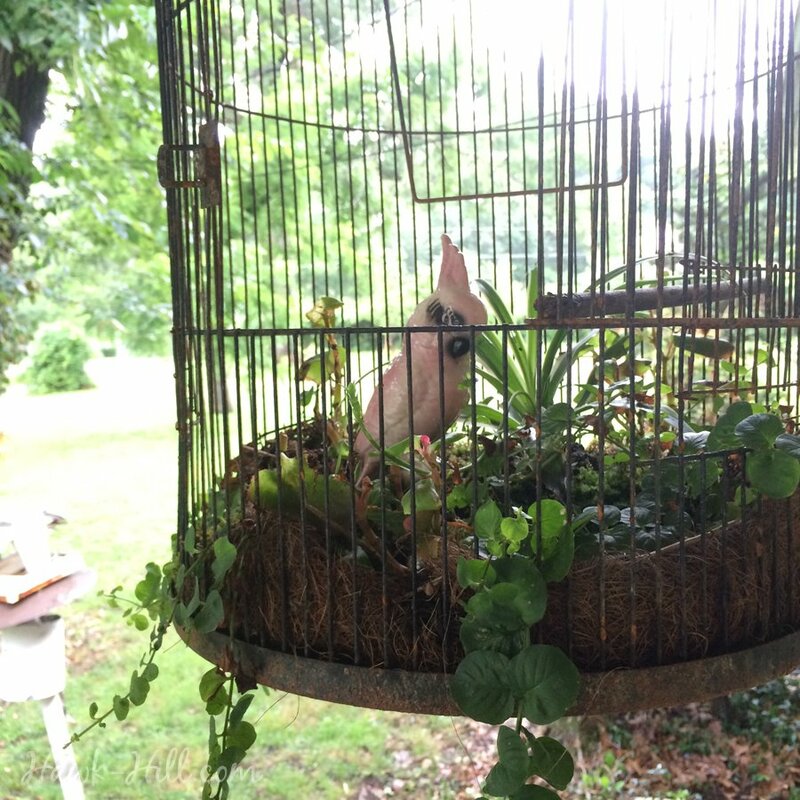 The same birdcage, reworked into a whimsical terrarium-like hanging planter. Tutorial here. 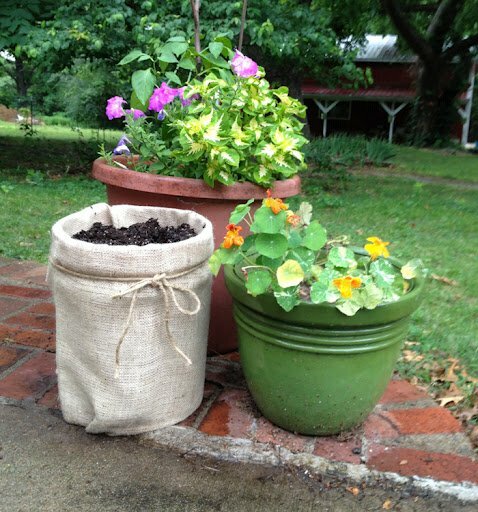 When you need more planters, but not as much as you need to save money: make burlap planters. I cannot take credit for the whimsical indoor (greenhouse) garden in this photo, but I love it. Taken at a retreat center in Washington state. 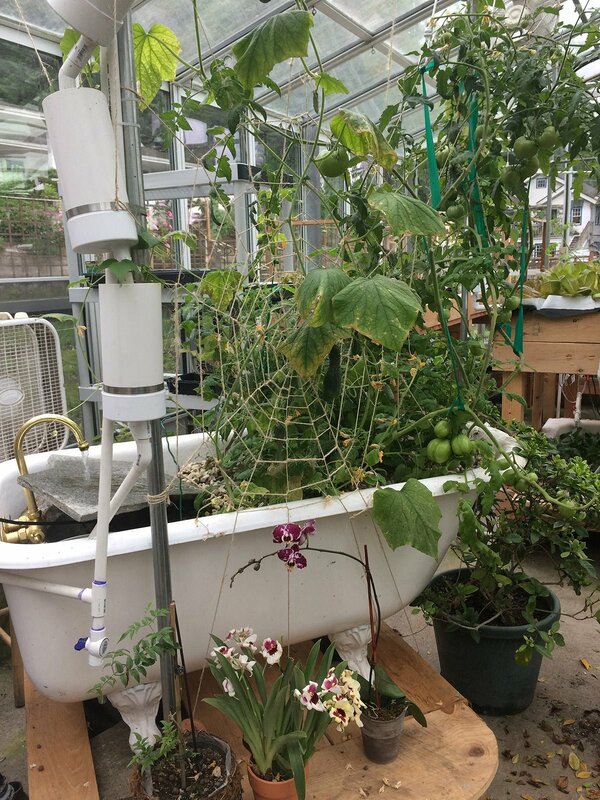 In this photo a claw-foot bathtub is used as a fountain and hydroponic planter, while cucumber and tomato plants climb a just-string trellis made to look like a large spider web.